Liz Jazwiec, award winning author of Eat That Cookie! and Hey Cupcake!, asks (and answers) this question in her latest book. In Service Excellence Is As Easy As P.I.E. 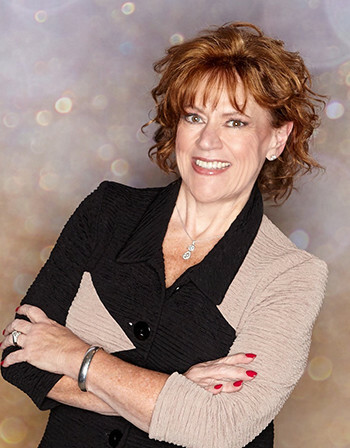 (Perception Is Everything), she deploys her trademark sense of humor as she shares some practical and relatable ways to zone in on and improve service. 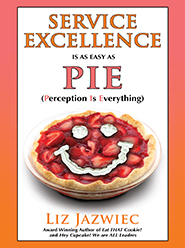 This latest book in Liz's "treat trilogy" does a delicious job of explaining the tools and tactics that form the whipped-cream smiley on the pie of service excellence. Not only does she explain how to generate powerful impressions and improve perceptions, she folds lots of entertaining stories into the mix. Perception is emotional and spiritual, not scientific—which is why it's okay to order flowers for the front desk without any data! Human beings don't mind being inconvenienced. They do mind being ignored. Pulling the curtain is about creating privacy, not hiding patients from view (and telling them that makes all the difference). To manage expectations, tell them what you know... with a little cushion. Service Improvement doesn't take extra money, time, or resources—sometimes a Styrofoam cup filled with ice is all that's needed. Realistic, down to earth, and wickedly witty, P.I.E., is perfect for everyone in healthcare or any other service industry. It's filled with ideas for creating exceptional customer experiences—ideas that are surprising, simple and yes, easy as you-know-what.